I know we're coming up to Memorial Day this weekend, but who else is looking forward to Independence Day? Fireworks, yo! 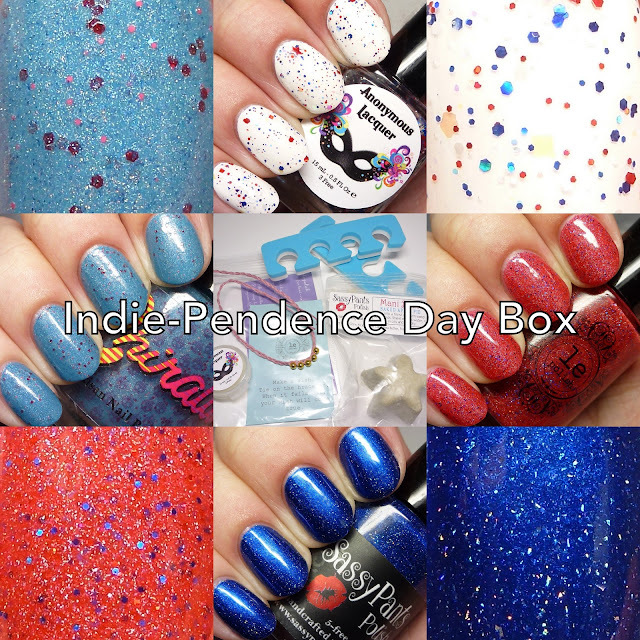 I have a cheerful, patriotic box to share with you today. 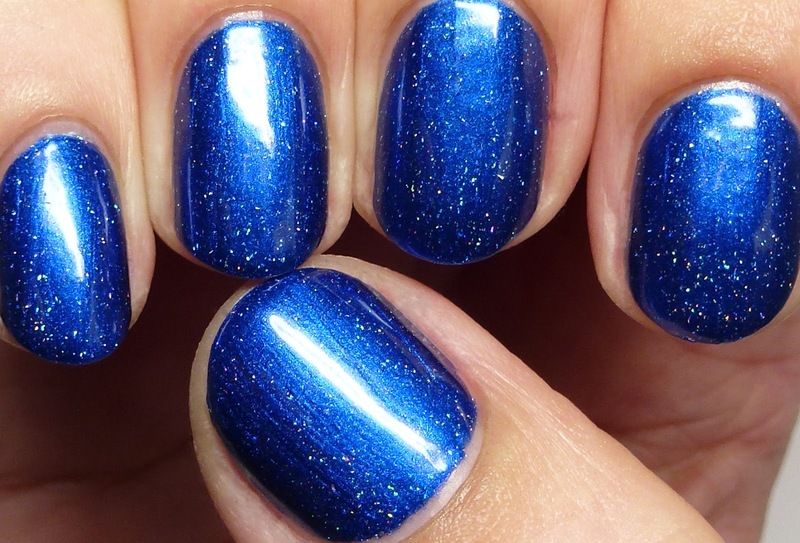 It will be available for pre-order from May 27 at noon EST through June 3 11:59PM EST for $40 including shipping in order to ship by June 20th, so you have plenty of time to get your July 4 manis planned out. The Indie-Pendence Day Box was put together by le polish and will be on her site. 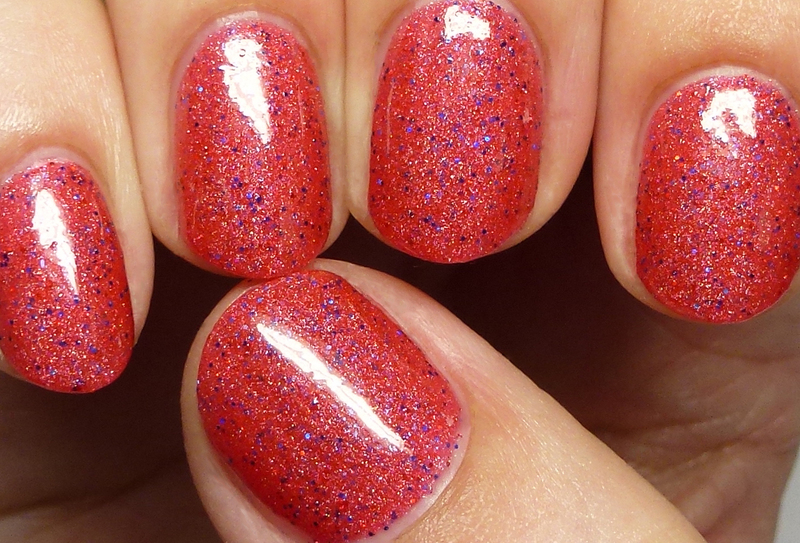 Let's have a look at the polishes and extras! 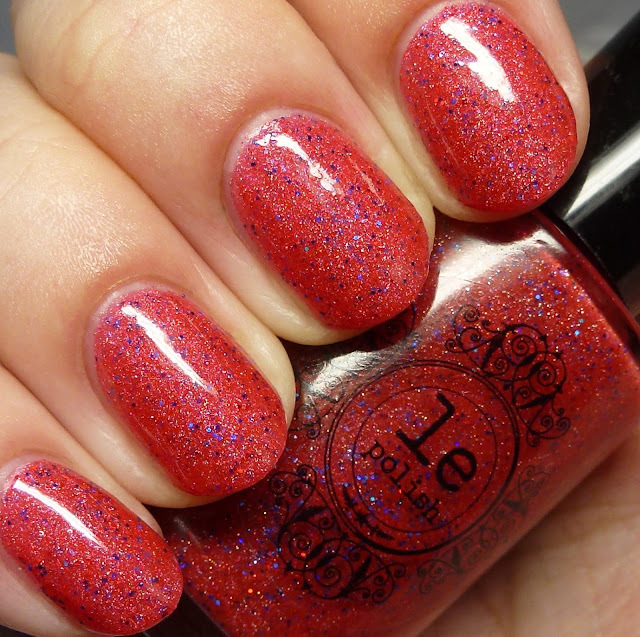 Anonymous Lacquer supplied two polishes, an mini-sized undie and a full-sized glitter topper. 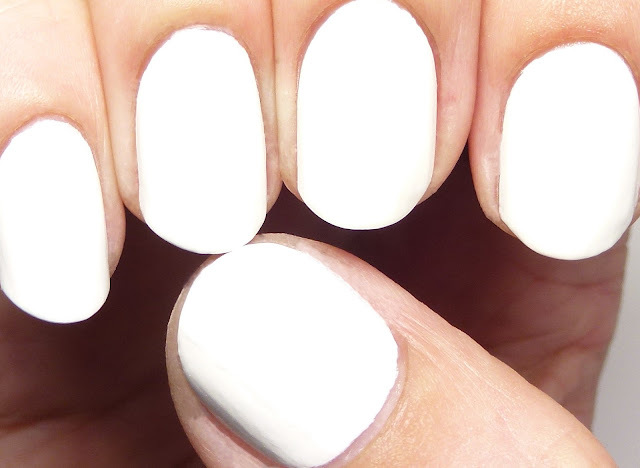 Blanca is a pigmented white creme, worn here in two thin coats. 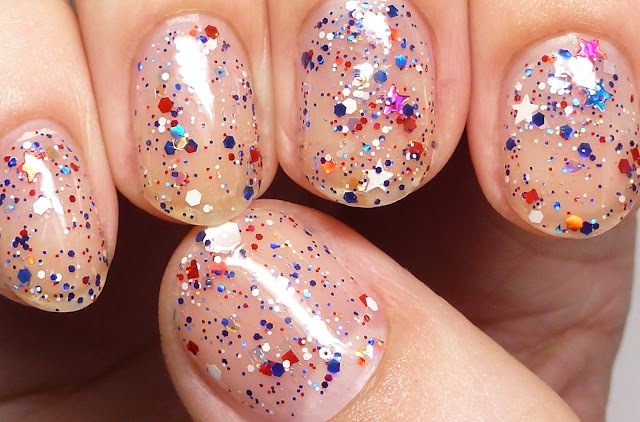 As with any pigmented creme, I recommend applying it carefully and evenly to avoid flooding the cuticles. 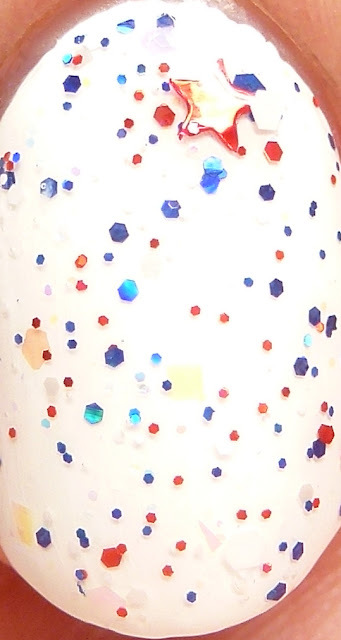 Anonymous Lacquer Freedom Ring has an array of red, white, and blue glitter in micro, hex, and stars, in matte, shiny, and holo finishes. I am wearing it here in four coats on its own. The glitter spread nicely and I didn't try to fish for it. Here is two coats of Freedom Ring over Blanca. How cheerful! 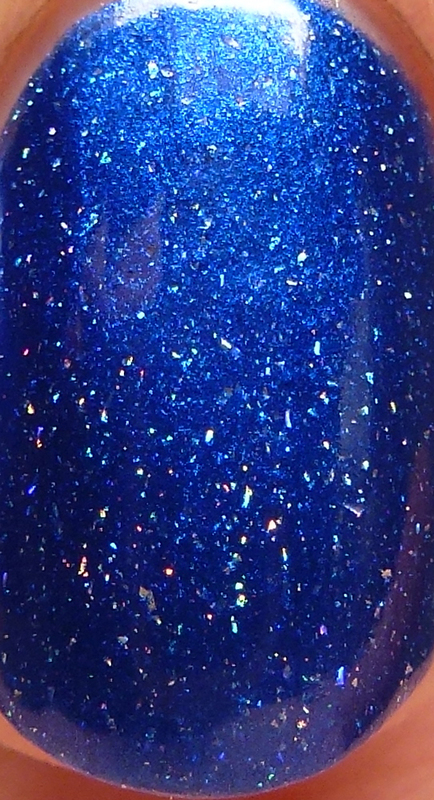 Chirality Nail Polish Roanoke has scattered holo shimmer and coral and red microglitters in a cyan-azure blue base, here in three thin coats, though two would do. 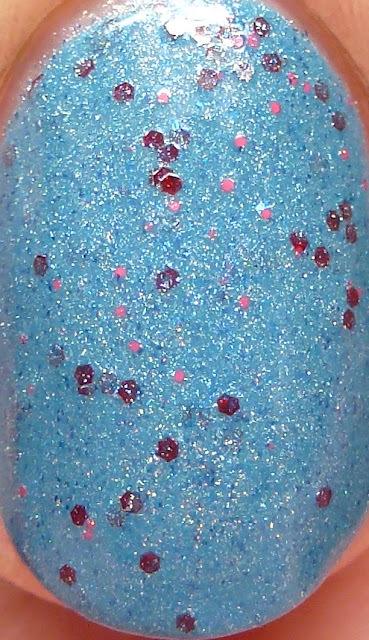 This has a bit of texture due to the microglitter but removes easily. Great, quick-drying formula. 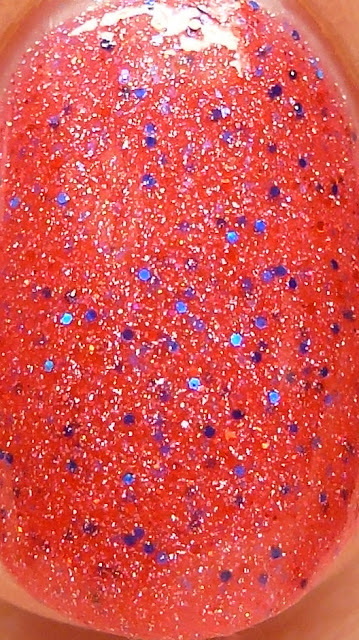 le polish This Hand Is My Hand has scattered holo shimmer and blue microglitter in a brick red base, shown in three thin coats. It has a nice formula and dries pretty smooth for the amount of glitter in it. This will definitely be a summer pedi color for me! 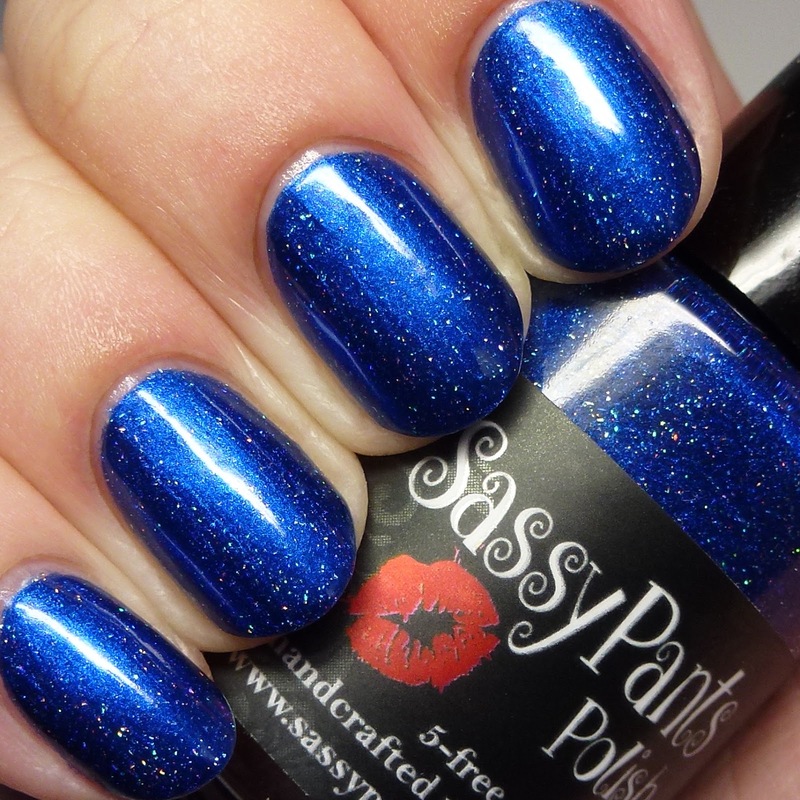 Sassy Pants Polish True Blue has holographic flakes in a cobalt blue shimmer base. Wow is this reflective! 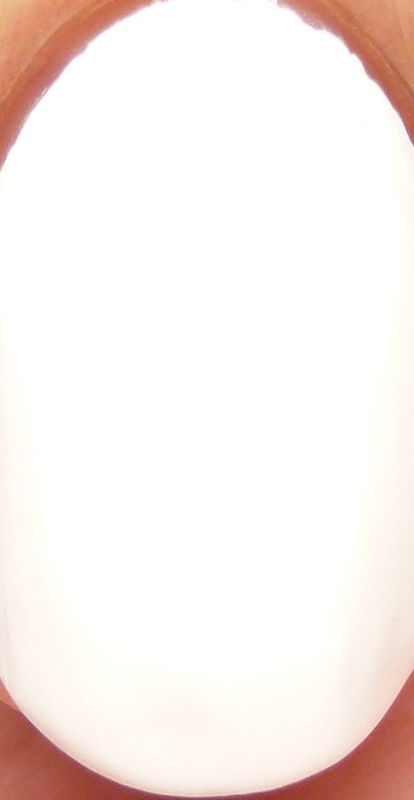 I am wearing it here in three very thin coats, though two would do. It has a wonderful formula and dries quickly. The flakes have zero texture - it is silky smooth. This box includes some wonderful extras! Anonymous Lacquer Cutie Balm is a lightly-scented, hydrating balm in a sample size. le polish included a Make a Wish Bracelet with gold beads on a mauve thread - you tie it on, make a wish, and wear it until it falls off, at which point your wish comes true! Sassy Pants Polish Mani Bomb in Baked Apple Pie is a shea butter-based, ultra-hydrating bomb with a classically American scent, of course. Plus you get a handy pair of toe separators for your summer pedis! They are nice soft ones that you can walk in while wearing. This was a wonderfully put together and cheerful box for Independence Day and will no doubt provide you lots of fun for yourself and/or friends and family. 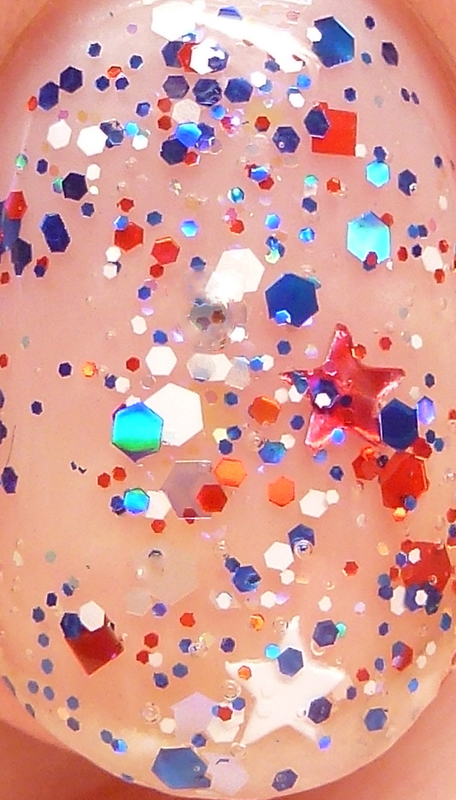 It will be available for pre-order in the le polish store from May 27 at noon EST through June 3 11:59PM EST for $40 including shipping in order to ship by June 20th. It costs only $40 shipped, so it is also an amazing value!